This episode brings together feature interviews from episodes #024 and #046 of the TER Podcast. 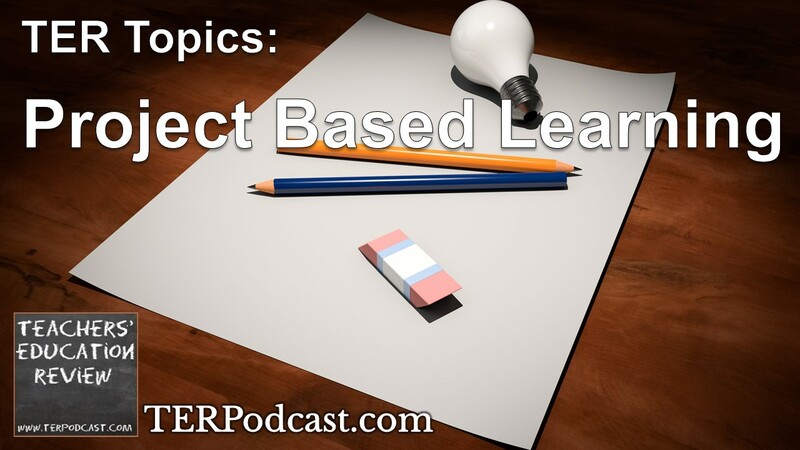 First, Laura McBain discusses the whole-school approach to PBL taken at High Tech high in California, then David Price, OBE, discusses his experiences leading PBL initiatives in different school contexts. This entry was posted in Project Based Learning, TER Topics by Capitan Typo. Bookmark the permalink. These two ‘topics’ episodes (literacy and PBL) are no better example of why the teachers at my school refer to the TER podcast as ‘Cameron Malcher interviews people he agrees with’. There is no attempt at providing a counter view and his ‘devil’s advocate’ questions are always made without conviction and quickly followed up with a ‘fair enough’ or ‘I understand’. It is clear that Cameron doesn’t enjoy complex debates and would just rather proselytise. Hi Bart, thanks for your feedback. TER podcast has never engaged in a debate format – rather we have always interviewed individuals, occasionally two people, about their particular areas of expertise. I’m not aware of any debate format podcast on education in Australia, but if you feel one is necessary you’re welcome to start it! I can even give you some pointers to help get started – drop me a line if you’re interested. Given that there were four speakers on two topics in the episodes you’re unhappy with, would you care to provide some more specific information about the issues you felt weren’t being dealt with appropriately? Of course, you always have the option to not listen and to find other podcasts you feel give a more appropriate treatment of educational issues. AEON.net.au is a good place to start! I know that I was a bit confrontational there. Apologies. I understand that making this podcast would take a large amount of time and I have learnt many interesting things and wrestled with concepts from it over the years. I am catching up on the last few episodes (I go in and out) and really felt like these ‘topics’ were a wasted opportunity. I am not necessarily saying you need a debate format but I feel you do have an obligation to challenge interviewees, especially on more outlandish assertions, and try to interview people you don’t agree with or disagree with other interviewees. What wasn’t addressed? With literacy, a phonetics proponent (at least I don’t recall one ever interviewed) on why they are support the check and what isn’t done now that they want to see. They are not all CIS or LNP hacks! Same with PBL. It is not axiomatically good and there is a large amount of literature and researchers criticising it. I fully understand that there are other podcasts but you are a fairly high profile one here in Australia. I disagree that I have an obligation to interview people that don’t agree with other interviewees because I think presenting false equivalency in the name of ‘balance’ is an absolute failure to respect whatever responsibility I may actually have in producing this podcast. I do take seriously the idea that developing a profile presents some sense of obligation, but ultimately that obligation is guided by personal understanding and values (and, as a public servant, also by obligations and restrictions placed on me by my employer – if some philanthropic billionaire wanted to sponsor the production of this podcast so that I could make research, writing and production my full time job, then things might be a little different). But we’ve never claimed to be investigative, the very title of the show is ‘review’, implying opinion and judgement. I always have to be open to the possibility that something I think or believe in is wrong, but to this point I’m generally comfortable with the choices that have been made in the production of the podcast. As for the issues of literacy, phonics and PBL well, see my earlier comments about false equivalency and balance. Of course, I may be entirely wrong. But I don’t think I am. I can’t believe you seriously take the false equivalency defence here. Unlike climate change, the objective scientific evidence is at best mixed and more likely against your positions. I don’t doubt that your opinions on the whole represent the majority opinion of teachers and researchers (with a few exceptions) but we do know that the majority can be wrong. It is more important that we are right then that. This conversation began from a point of disagreement, so it should be no surprise that we also disagree on the approach to those matters, however your own points are inconsistent. You suggest the false equivalency argument is inappropriate, yet also acknowledge that the majority of researchers might favour a particular argument, and then state that the objective scientific evidence is ‘more likely’ against my positions. Those last two are contradictory, if the majority of researchers favour a particular argument, then wouldn’t it follow that the majority of research also favours that position? And if it is true that the majority of researchers do favour one position, yet the majority of research favours another position, that suggests there are a minority of researchers producing a larger than average volume of research to support a position – which is not how consensus works in arriving at an understanding of what is true. Either-way, there is an imbalance, and therefore the false equivalency argument does potentially apply in either direction. Another interpretation of your statement is to imply that the ‘majority of researchers’ who favour one position are somehow doing research wrong and arriving at inaccurate conclusions. If that is true, then our entire academic system is broken and all research is suspect – which is a consideration that may actually have some merit given the issues of replication currently causing problems in academia. This idea that a lot of people are wrong is certainly a popular narrative, though if you hold this idea to be true and don’t come to the conclusion that our entire academic system is flawed, then you risk verging into the realm of the conspiratorial. The majority can be wrong, but so too can a small group of firebrands claiming to have a singular answer. It’s a minefield to navigate and I can but do what I think is right. The false equivalency argument is poorly used here as we are not talking about the ‘vast’ majority. While I am acknowledging that many of your views are probably held by the majority of teachers and researchers, I do think that they are closer in contention than you would like to think. I’m using the term ‘most likely’ purely because it’s a probability and don’t want to speak in certainty when there is quite a margin of doubt. We both know that education research suffers from many problems. Some of these stem from the nature of the field itself – social science, multiple factors contributing, measurement error, validity and reliability, correct use of proxies, cost and time – and some stem from the kind of people who attracted to it – generally distrustful of qualitative research or taking falsifiable positions, and a willingness to go via secondary measures if ‘learning outcomes’ proves too difficult. I don’t think this is conspiratorial at all – just biased and generally easier for those involved. People that go against the established academic discourse are certainly not encouraged from joining academia. For what it’s worth I don’t think the ‘firebrands’ are right and think the answer lies somewhere in the middle with a sum greater than its parts with some contextual effects. My concern is if we allow extreme, unchallenged views from one side and silence, dismissively reject, or hold up the extremities for ridicule while ignoring moderate voices of the other side we don’t reach that point. We pendulum swing past it back and forth. By the way, is your real name Mitchell? I need to call you up on that as I don’t think it is appropriate. or being argumentative or trolling. In my case it would be a combination but I certainly don’t think my comments could be construed as trolling. sometimes in fear, over fairly innocuous opinions. You yourself have made the point about constraints from your employer. I don’t believe I have said anything that would contravene my obligations but I have no doubt expressed opinions that would contradict policy or the opinions of people higher up the hierarchy. Having that pointed out to you could make someone second guess prolifically engaging in debate under their real name. but I certainly don’t believe I crossed that line. I used a pseudonym and you may very well have chosen not to engage with me for that reason – plenty do – but you did engage with it and we had a debate. So I am left confused on why you would feel the need to attempt the public outing of someone’s identity through technological means except as a point scoring exercise. It certainly wasn’t required or relevant for us to have this conversation. Maybe I have misinterpreted your intention. Maybe you want to engage in a more authentic manner? If this is the case I would certainly recommend other ways to do this. Once again, we continue the theme of the areas in which we disagree. In this case, we clearly disagree on the definition of online trolling. WHat you did in the first instance to initiate this conversation was use an anonymous pseudonym attached to a throwaway email account in order to make a post that focused on direct personal attacks against the quality of my character. That is the very definition of online trolling. That I chose to try and focus on the limited valid observations made among those insults and engage with those does not in any way excuse you for your initial actions. The second area in which we disagree is in your right to engage in online discussions form a place of anonymity. Before I go on, I want to make it clear that I’m not lecturing or moralising. I was guilty of the same thing early in my teaching career. I briefly wore a trolls hat, and it was based on similar misunderstandings of my rights and obligations as a teacher that I believe you’re now expressing. If, as you have said elsewhere in this conversation, you are in fact a teacher, then I would advise you to go and read your employers social media policy that forms part of the terms for your employment. Chances are, your employer does not grant you the freedom to behave like an anonymous troll online. TO use the context I am most familiar with, the NSW Department of Education’s social media policy specifically prohibits teachers from such behaviour, and every other policy I’ve seen from other systems or independent schools have a similar expectation that teachers will conduct themselves in a professional and appropriate manner online – and will specifically instruct teachers to make their identity know in online discussions about education. The point here is that while all of the reasons you provide are perfectly valid reasons to be concerned about your personal information being posted online, you do not automatically have the right to be anonymous inonline discussions. If you work for a school or system that does allow teachers to behave like an anonymous troll in online discussions, then please email me a copy of the policy at info@terpodcast.com. I’d be interested to see it as a comparison of the ways different schools/systems approach the issue of teacher engagement on social media. If you’re concerned about your privacy or accessibility of your data being available online, then the only safe option is not to engage. Get off the computer. I’ve already demonstrated that your anonymity isn’t as secure or absolute as you might have thought it was, but more importantly – it is not respectful professional conduct.